UPDATED: Sat., July 28, 2018, 3:57 p.m.
To read Scott Bennett’s blog which details both Washington speed climbs he did in July visit: ropeandsummit.wordpress.com. A well-known speed climber brought his skills to Washington earlier this month. On July 4, Scott Bennett climbed the complete north ridge of Mt. Stuart in a blistering 5 hours, 57 minutes. 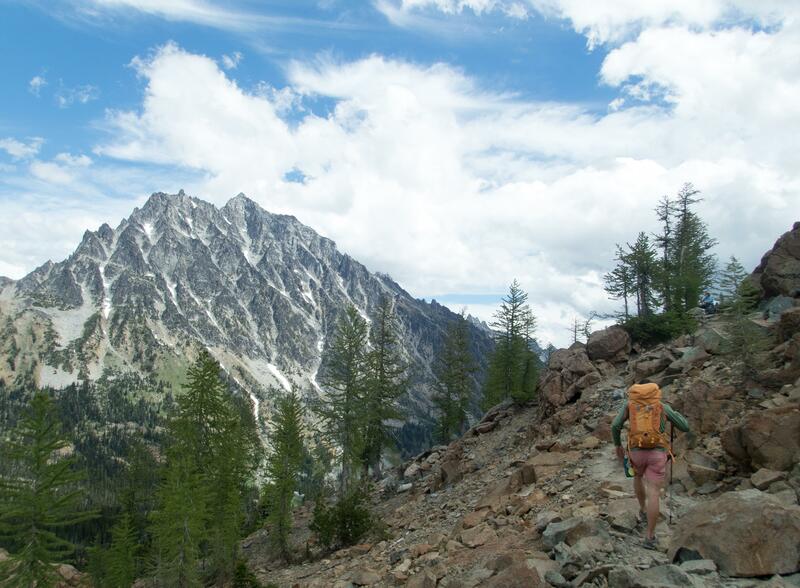 Bennett spent 1:34 climbing the 3,000 feet of technical rock to the mountain’s summit. Embodying the light-and-fast creed, Bennett brought no rope or helmet. Bennett approached the climb on the Lake Ingalls Trail and descended via the Cascadian Couloir. The previous record on the 9,416-foot mountain was 6:45, set by Colin Haley and Andy Wyatt in 2015. Most climbers take two days to climb the north ridge, opting to bivy near the base. It’s not unheard of for climbers to do it in one push car-to-car. Bennett posted a video of his feat. Bennett is well known for his audacious speed attempts. In 2016 he and another climber scaled three El Capitan routes in one 24-hour period. Bennett and Brad Gobright climbed Zodiac, the Nose and Lurking Fear in 23:10. Just days after scampering up Mt. Stuart, Bennett climbed the Forbidden Peak’s West Ridge in 4:54, setting a speed record on that peak as well. Published: July 26, 2018, 2:59 p.m. Updated: July 28, 2018, 3:57 p.m.